Andrew Allison "Drew" Carey (born May 23, 1958) is an American actor, comedian, sports executive, and game show host. 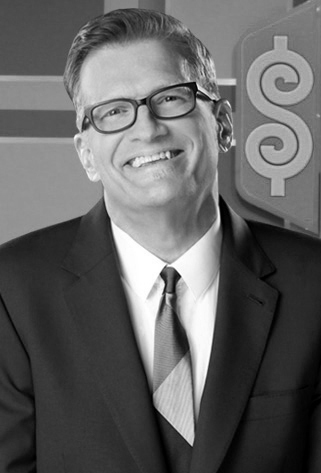 After serving in the U.S. Marine Corps and making a name for himself in stand-up comedy, Carey eventually gained popularity starring in his own sitcom, The Drew Carey Show, and serving as host of the U.S. version of the improv comedy show Whose Line Is It Anyway?, both of which aired on ABC. I like to think of my house as nothing more than a glorified console for my television; the ultimate stereo cabinet. I think that if anyone bothered to take a survey, they would find a sharp decline in atheism during the winters in Cleveland, Ohio. I wish I could end every rap song I didn't like with a buzzer. I'm not a good lover, but at least I'm fast. If frogs could fly... well, we'd still be in this mess, but wouldn't it be neat? Know what I do when I watch the news now? I turn it off, I get out my bible, I turn to the book of Revelations and just start checking stuff off. There is no such thing as too much fun. People need to know it is okay to tell jokes and be happy.